Honor-shame cultures share something in common with wine. They both have terroir—a unique flavor depending on the context. 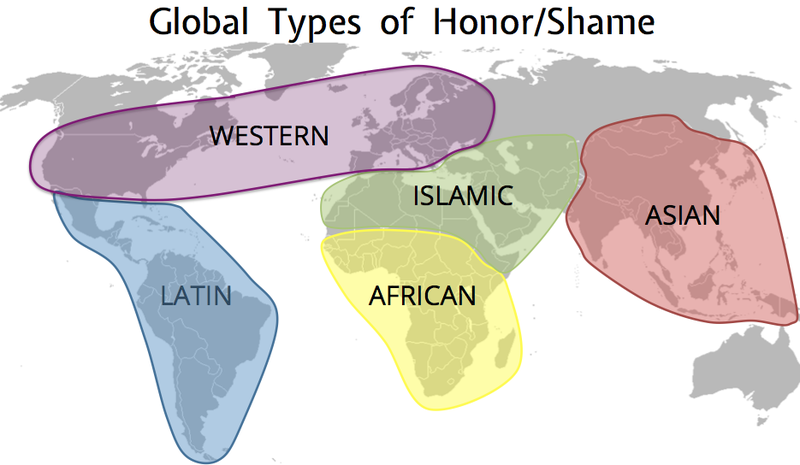 Honor and shame are present in every culture of the world, but each culture expresses honor-shame values differently. For example, hospitality is important in most cultures, but each culture will use different customs and food to communicate honor to a guest. Or, as another example, consider this: Muslims may resort to “honor killings” to dispel shame, while East Asians employ “honor suicides” to erase shame. Though opposite, the values of honor and shame drive both actions. (Read about five major types of honor-shame cultures). For this initial conversation, we are asking you to share—How does honor and shame work in your context? What does honor and shame look like? 1. The Face of Honor and Shame. These questions may help you exegete and explain honor and shame in your culture. What are the main words, expressions, and/or metaphors for honor and shame in your language? What things bring honor (or shame) to a person or family? What symbols or actions communicate an honorable status? These two short articles may help you identify prominent aspects of honor and shame in your context: 8 Traits of Honor-Shame Cultures and Honor-Shame Dynamics in the Bible. 2. Leadership in Honor-Shame Cultures. As you reflect on the above questions, consider how they specifically apply to leaders (and followers) in your context. What role does honor and face play in authority and hierarchy? What kind of leader do people consider “honorable”? How should Christian leaders engage the cultural concepts of a “good leader” in honor-shame cultures. For people based in the U.S., keep in mind that honor and shame shape leadership in all cultures (just consider the presidential campaigns! ), so feel free answer these questions for your culture as well. Please share your thoughts, questions, stories, best practices, insights, examples at the Synergy Commons forum. Your comments will help others better understand and engage their own cultural context. Click here to read what others are saying and contribute.